People who received a mild electrical current to a motor control area of the brain were significantly better able to learn and perform a complex motor task than those in control groups. The study is presented in the early online edition of the Proceedings of the US National Academy of Sciences and was conducted by researchers at the National Institutes of Health. The research team from NIH’s National Institute of Neurological Disorders and Stroke (NINDS) worked in collaboration with investigators at Columbia University in New York City and Johns Hopkins University in Baltimore. Motor skills, which are used for activities from typing and driving to sports, require practice and learning over a prolonged period of time. During practice, the brain encodes information about how to perform the task, but even during periods of rest, the brain is still at work strengthening the memory of doing the task. This process is known as consolidation. Subjects in this study were presented with a novel and challenging motor task, which involved squeezing a “joy stick” to play a targeting game on a computer monitor, which they practised over five consecutive days. 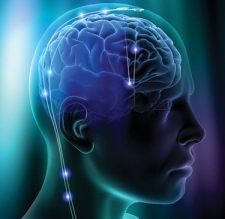 During practice, one group received 20 minutes of transcranial direct current stimulation (tDCS) and the other group received only a 30-second “sham” stimulation. tDCS involves mild electrical stimulation applied through surface electrodes on the head and works by modulating the excitability, or activity, of cells in the brain’s outermost layers. In this study, Dr Cohen and his team directed tDCS to the primary motor cortex, the part of the brain that controls movement. Over the five-day training period, the skill of the tDCS group improved significantly more that that of the control (sham) group, apparently through an effect on consolidation. During the three month follow-up period, the two groups forgot the skill at about the same rate, but the tDCS group continued to perform better because they had learned the skill better by the end of training. on which side of the skull where the electrodes hooked up on?